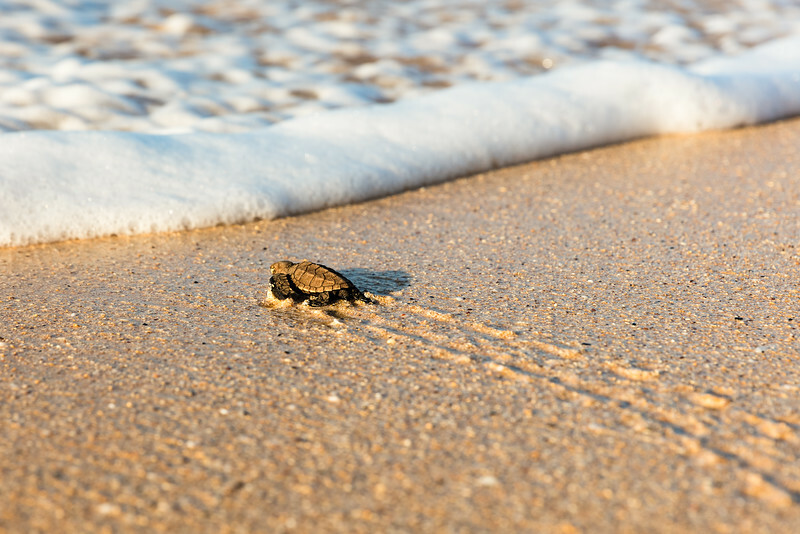 This is a critically endangered Hawksbill Sea Turtle, about to enter the ocean for the very first time. The last of 180 to enter this morning about half an hour after sunrise. It didn't really hit me until I was on the way home how special the opportunity was to witness it (and photograph it). It's something I may never see again in my lifetime.